Cabbage rolls are pretty common dish across Europe (from my own observation anyway). 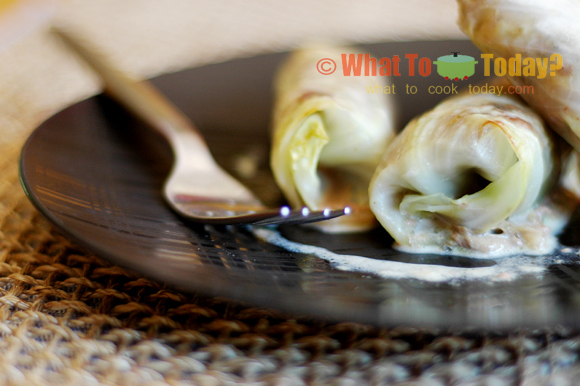 I’ve seen cabbage rolls recipe in several different European cookbooks. 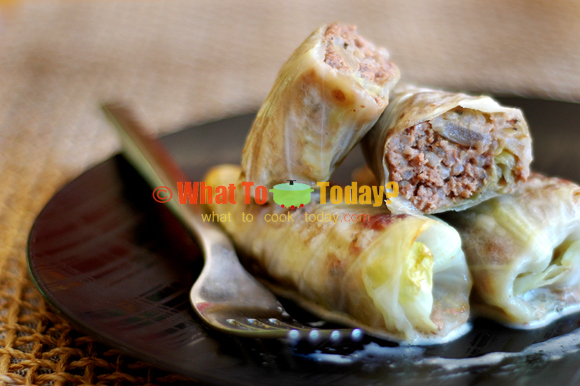 Like many other cabbage rolls, this Finnish cabbage rolls or known as kaalikaaryleet are stuffed with rice, cabbage and ground beef. The filling is then wrapped with whole cabbage leave. This is a complete meal on its own if you ask me. 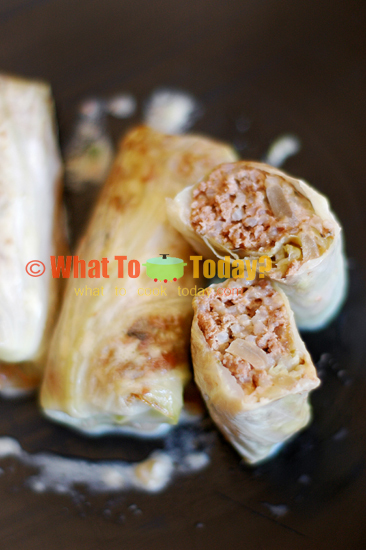 The cabbage rolls are pretty simple to make. The most complication you will encounter is perhaps in preparing the cabbage leaves to wrap the filling. Those part may take a bit more work, but not impossible to do. I like how the sauce has that sweet and savory taste, sweetness from the syrup and savory from the juices of the meat and cabbage. The cabbage rolls are yummy and they give you a feeling of home-cooked-meal comfort.